So let me take a scenario. now what I want to do it I want to take care of my room suppose there is something in my room which I don't want anyone to touch than what I will do it I will make the raspberry pi surveillance camera and whenever someone will try to touch that particular thing or someone will try to take that particular thing away from my room. It will send the email notification to my email. Isn't it cool guys if you are thinking it is cool then this article is for you guys so keep reading the article talent and let's make the security surveillance system. Now we need to set up a Raspberry Pi 3 for making the raspberry pi surveillance system. So for setting up the Raspberry Pi first of all we need to download the motioneyeos image from the internet. let's open up a browser and simply type in here motioneyeos download. 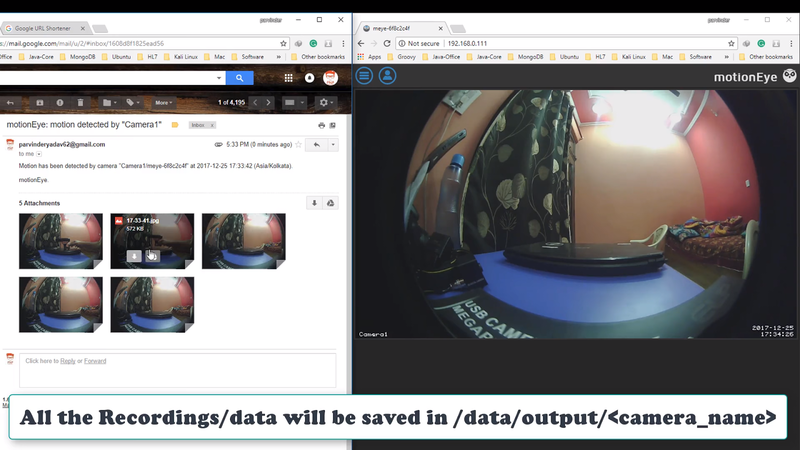 It will take you to the GitHub link and now we need to download the motioneyeos for the Raspberry Pi 3 simply click on it. I will ask you to download that image now was the motioneyeos image file has been downloaded we need to extract this file. Super extracting this file we need to right click on it and click on extract here and I'm assuming you have to WinRAR installed and wants the extraction process finished. After that, you need to open up the Etcher software. Now let me connect my 16 Gigabyte SD card. That we select the image. Then motioneyeos click on open and click on flash. I will strongly recommend you to use the 16 Gigabyte SD card we should be of class 10. Now it will take some time to flash that particular file on your SD card as can see guys motioneyeos has been Flashed on to the SD card. Now what I will do it I will take out my SD card and I will simply connect SD card into my Raspberry Pi 3 and I will also connect the LAN cable which is coming out from my router because I want to see the streaming on to my PC so my PC and my Raspberry Pi both will be on the same network. Let me do that now I will also connect the USB camera module which I have got from the ELP CCTV and this camera module is high definition camera module. which has the Fisheye effect and it is also a wide angle camera. So this is going to be super high-quality Security System. If you want to buy that camera then the link is given above the section. Now let me just give the power to my Raspberry Pi 3 alright. So now my Raspberry Pi 3 is booting. and I haven't connected any monitor because what I'm gonna do as I will open up PuTTY Configuration and I will click SSH into my Raspberry Pi 3 so first of all I also need to find out the IP address of my Raspberry Pi so for that I will open up our Network Scanner called Softperfect Network Scanner. It is available for windows. Simply click on start scanning and as you can see guys Raspberry Pi 3 IP address is 192.168.0.111. So I will simply enter that IP address in PuTTY Configuration Hostname section and it's can see also got a warning simply click YES. now lets SSH into a Raspberry Pi 3 and username is admin and password is nothing. 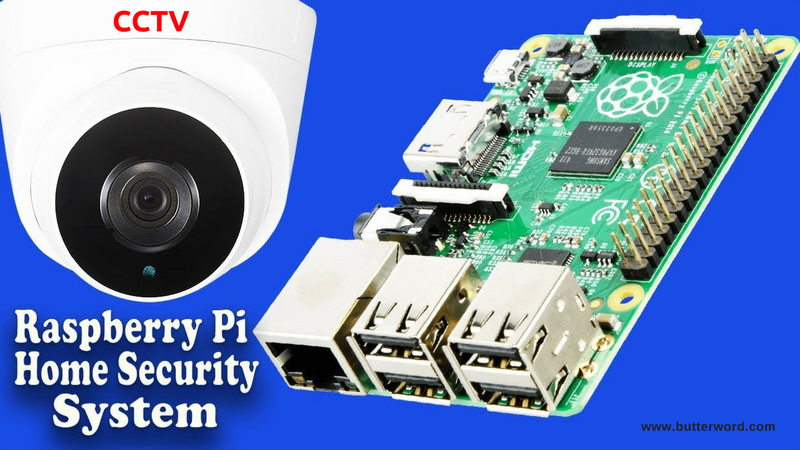 After that what you have to do this you need to open up your browser and simply type in your 192.168.0.111 this is the IP address of Raspberry Pi CCTV. Simply ENTER and as you can see you have got a streaming here. but you know the password was automatically saved into my browser. but if it asks you for the credentials and the username as admin and password is nothing. after that simply click on login. now we will do the configuration according to the requirement. a requirement was if I have more this microphone front of the camera then this security system should be able to send the email to your email address. so, first of all, we need to enable the advanced settings if you want to keep the password for your security surveillance system then you can change the password from here and I will also strongly recommend you to change the timezone my time zone is Asia Kolkata. under that you have a network we should not care about the network, services, export setting with the device is not all we have to Care About is raspberry pi video capture resolution. Setting the video resolution to be at 1080x720 and I will also send the framerate to 30 and just talked that I will click on still images and I feel that the capture mode to raspberry pi motion triggered. if you want to preserve the pictures forever then simply click on forever and if you want to preserve the picture for one week then you can set accordingly. We are very interested in sending an email so simply click on ON. here you need to enter the email address way you want to get the updates and the notification about the security camera. so I will set the email address here is this email address is on the G-mail. SMTP name is smtp.gmail.com and SMTP port is 557. I will use the TLS so let me just click on TLS and SMTP account is same as your username SMTP password is the password for your account. Now we need to enter the email address from where you want to get the updates in a so that you should be able to uniquely identify that I would like to get it from my own email address. Now, these are the settings for the normal Gmail address. after that, I will enter into my account and I will click on next there it is asking for the select tab click on other and my app name is motion. 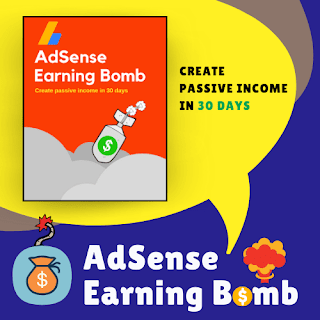 I click on to generate as long as you will click on send it then it will give you a password simply copy that password and now we have to use that particular password into the motioneyeos simply paste that particular password into the configuration. Attached picture time then I will increase to 5 now click on apply we have successfully change the setting now I will try to touch that microphone and they will go as just taken out that microphone. now let us see if it will be able to send the notification or not? and they can see guys we have just got an Email from the motioneyeos and let see and they can see guys we have also got the pictures here when I was touching that microphone so that's how you can make the security surveillance for your house using a raspberry pi.